Bangladesh Islami Chhatra Shibir has strongly condemned and protested the arrest of Rajibur Rahman Palash, a former president of the Rangpur Metropolitan Branch and executive council member from Dinajpur and involving him with terrorism case . On the occasion of the tree plantation drive, Chhatra Shibir has planted more than 100,000 saplings at different places throughout the country including the capital at 10am. Today on 13th July, as part of the nationwide tree plantation drive from 11th-17th July, Chhatra Shibir planted one lakh trees. 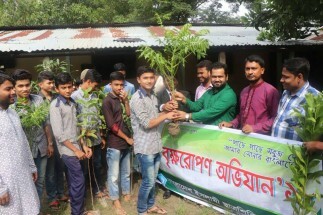 Chhatra Shibir central president Yasin Arafat took part in the tree plantation program at Dhaka Metropolitan North Branch in the capital. 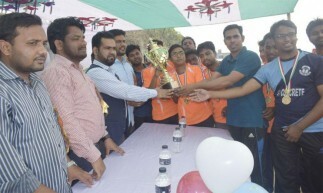 Meanwhile, Central office secretary Sirajul Islam, central social services secretary Abdul Jalil Akand, central executive council member Jamil Mahmud, Dhaka Metropolitan North President Azizul Islam Sajeeb, various leaders of the city were present. 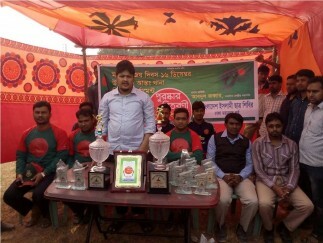 Yasin Arafat, the central president of Bangladesh Islami Chhatra Shibir, said that the nation's heroic sons have liberated the country by pouring the fresh blood of their hearts to live with dignity and freedom. It is the responsibility of the young generation to fulfill the dreams of those noble people. So the young generation will have to come forward to implement the goal of independence. 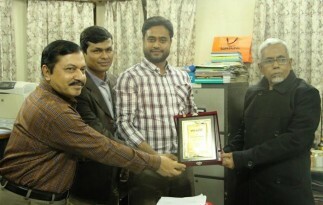 Yasin Arafat, the Central President of Bangladesh Islami Chhatra Shibir said that social discrimination is presently becoming a serious issue in Bangladesh. However, that is totally unexpected in Muslim majority Bangladesh. To overcome this problem, the lessons of the month of Ramadan must be applied. Yasin Arafat, the central president of Bangladesh Islami Chhatrashibir said that the ongoing leadership has failed to solve the country's problems and fulfill the hopes of the nation. Despite the huge ability and potential, it has not been possible to create a rich country due to lack of an ideological rule. People of every class in the nation are living in turmoil. Ideal leadership is needed to establish and protect people's rights. So Shibir activists should come forward to form an ideal leadership and prosperous country. The leaders said that such consecutive incidents of question leaks are unprecedented in the history of this country. Although previously there were a few cases of question papers leaked in different university admission examinations here and there, it has now become a terrible disease, which is nothing but the blueprint for producing a meritless generation. Through this, the whole nation, including the students, are being pushed towards an uncertain future. It is not possible to stop an immoral act like question leaks by a minister who is a self‐confessed corrupt official himself. He does not have the ability to hold such an important position such as the education minister. The nation does not want to see the destruction of the next generation. We immediately urge the Education Minister to accept his failure, corruption, irregularities and resign from his responsibilities. At the same time, we urge the government to take effective steps to stop all question‐leaks of the ongoing SSC examinations. 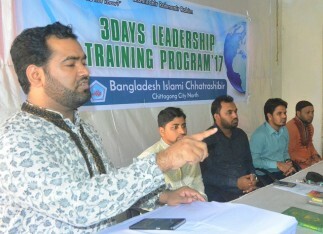 these at a three-day long leadership training camp organised at an auditorium by Chhatra Shibir Chittagong City North, where he was the chief guest. The program was presided over by Chittagong City North President Touhidul Islam, and other guests present included ex-Central President A.Z.M Obaidullah, City Shibir Secretary Sarwar Kamal Sikder, and others.